No credit history? Starting anew with bad credit? It’s time to build up your credit history so that you can get decent rates for small loans and mortgages along with increase your chances to get the apartment of your dreams and better rates on your car insurance. But you may be lost as to where to start building up your credit, so I wanted to put together a list of things you should do/work on in order to build it up quickly. 1. The first thing you should do is to check your credit score. Whether you don’t really have a credit history or just bad credit, your score is vital to future financial transactions. I check mine every four months, using one of my three free credit reports each time. 2. Open up a joint checking and/or saving account. If you don’t have a history of having accounts like these it’s vital that you get one, and opening a joint account ties your name/score to the other person holding the account. 3. Apply for department store or gas credit cards. These are usually the easiest ones to be approved for, but you have to be vigilant in paying off those balances every month because the interest rates are so high. 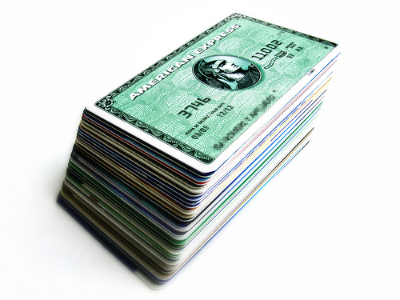 Use the cards to make small purchases and then pay off the balances and you will begin building up your credit history. 4. Apply for a secured credit card. Cards of this nature require a cash collateral which in turn becomes your open credit line. Basically it works like a checking account, where you can “charge” items up to the value that you have put in as security. This is a great way to build up a new credit history and help get your credit score up. 5. Go rent some furniture. Yes, you read that correctly – go rent some furniture. Rent to own furniture places are in almost every city and town, and renting from them goes on your credit report as monthly installments, which can build up your history. 6. Set up your utility bills on auto-payment plans. I don’t ever see any of my utility bills, as they are paid automatically by my credit card, and this ensures that none of my bills are ever paid late — a big no-no when trying to increase your score and improve your credit history. 7. Keep all of your debt balances really low. Don’t carry huge balances over month to month if you can help it, as this could be seen as a negative item on your credit history. A small balance paid off over a few months is ok and shows that you have the ability to make payments, but you can’t carry them forever. 8. Do not close unused accounts. There are differences in opinion on this one, and I myself don’t have a problem with closing an account if you have a good credit score and history, but if you are working on improving yours then I wouldn’t close any accounts even if they are sitting unused. Just use them once in a while for a pack of gum or something to avoid automatic cancellation or service charges. 9. Don’t open too many accounts at the same time. You do not want to open a gas card, a department store card, and a new installment loan all at the same time. Your credit report gets accessed each time you try to open an account, and this could bring your score down. Have any other suggestions or things that have worked for you? Please be sure to let us know in the comments to help out all the other readers! Great suggestions for people who are trying to build their credit score. Just be sure to pay CC bills on time, so you don’t pay late charges.